Rayong Tour is a passenger transportation arrangement company that was founded in year 1989. The headquarter for the bus operator is located in Muang Rayong, the capital district of Rayong Province in eastern Thailand. All their hard work and efforts truly paid off after having been in the industry for the past 28 years. It truly is an impressive accomplishment for a well-organized transportation company that is nearly three decades old. This really displays Rayong Tour as a trusted platform when you are looking to book a bus ticket to travel around Thailand. 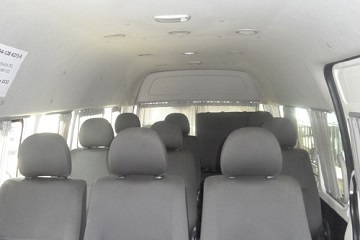 The company is also providing vans and mini buses as part of their transportation services. 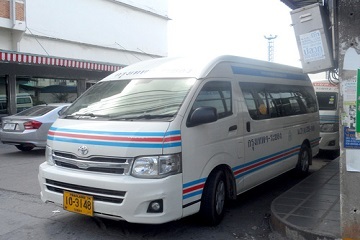 Rayong Tour bus coaches are fully air-conditioned which allow passengers to have a pleasant and cooling journey to their desired destinations. This allows the passengers to have an enjoyable ride while they take a rest in a cooling ambience to re-energize themselves before a new chapter of their trip begins. 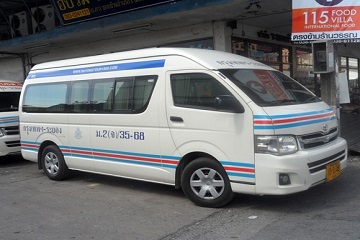 Rayong Tour bus provides transportation services from Bangkok to Rayong and back. For those with stops at Rayong, the pick-up and drop-off points are located at Rayong Tour office itself. The Bangkok pick-up and drop-off points are located at Eastern Bangkok Bus Terminal (Ekamai), Southern Bangkok Bus Terminal (Sai Tai Mai) and Bangkok Bus Terminal (Chatuchak). The company is providing round trips to Bangkok Bus Terminal (Chatuchak) and Eastern Bangkok Bus Terminal (Ekamai) departing from Rayong Tour Office. Take note that Bangkok Bus Terminal (Chatuchak) is also known as Mo Chit Song, Mo Chit Mai and Northern Bus Terminal. The location of the bus terminal is at the north of Bangkok on Kamphaeng Phet 2 Road behind Chatuchak Weekend Market. Eastern Bangkok Bus Terminal is located near the Ekkamai area and it is a small bus station situated next to the Ekkamai Bangkok Mass Transit System (BTS Station) so it is easily accessible by public transport. Besides the destinations mentioned, the bus operator also offers one-way bus route from Rayong Tour Office to Southern Bangkok Bus Terminal. Southern Bangkok Bus Terminal or also known as Sai Tai Mai Terminal is Bangkok's second busiest bus station located at the Bhang Khae area on Borommaratchachonnani Road and the easiest way to get there is by taxi. If you are looking to travel within Bangkok and Rayong, do not miss the chance to jump on a ride with Rayong Tour vans or minibuses. Forget about the long queues at the bus ticket counters. Just grab your mobile phone or laptop to book a Rayong Tour bus ticket online at Easybook with just a few simple steps. 83 Shopping Center Sai 4, Sukhumvit Road, Tha Pradu, Mueang, Rayong 21000, Thailand.